We've all done it -- left a little space in our luggage for the inevitable souvenirs we bring back from the Caribbean. It's a great plan, but here's an even better one: fill that space with items you can donate to worthy charities when you arrive in the islands, and you can leave with both those prized keepsakes and the satisfaction that you've done some good while on your vacation. Pack for a Purpose, a nonprofit group that supports charities in the areas of child welfare, health, education, animal welfare, and socioeconomic development, works with resorts and charities around the world, including in the Caribbean. The group encourages travelers to bring up to 5 pounds of goods to donate when they arrive in their destination -- exactly what is needed depends on where you are going. Find an accommodation and a project it supports. More than 60 Caribbean resorts participate, including all Sandals resorts and such other well-known properties as Necker Island in the BVI, the Bucuti and Tara Beach Resorts in Aruba, and GolderEye, Half Moon, and Jake's in Jamaica. Drop off the supplies at the accommodation or tour company, who will deliver them to their charitable partner organization. "Pack for a Purpose is easy. It’s smart. It matters," says Cathy Decker, a New York based public-relations executive who has organized voluntourism trips to the Caribbean. Decker's clients include Sandals Resorts International, which backs the Sandals Foundation, a key Caribbean partner of Pack with a Purpose. "Guests have really embraced Pack for a Purpose and other voluntourism programming available through the Sandals Foundation," says Decker, whose teen daughter, Caroline, recently took part in the Beaches Resorts’ Teen Advisory Panel. The panel launched Teen Impact, a new “volunteenism” program that gives teens the chance to earn community service hours while on vacation with their families. "Pack with a Purpose is part of the program: In this instance, since school starts in September, teens were encouraged to bring much-needed school supplies," Decker says. "Caroline packed pens, pencils, erasers, rulers, notebooks, kids’ scissors, colored pencils and colored paper. Gently used books or new books were also welcome." 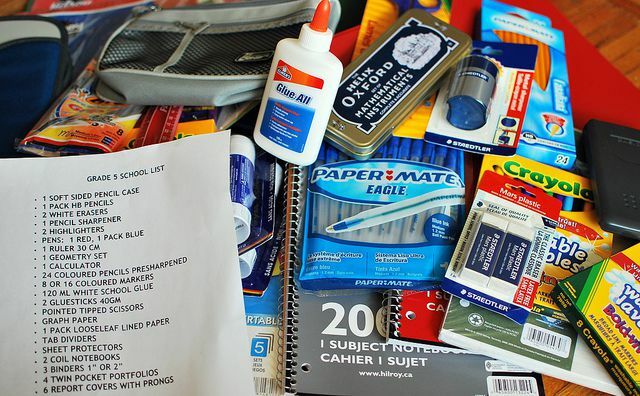 Pack for a Purpose also encourages travelers to donate school supplies in the Dominican Republic, Jamaica, Turks & Caicos, and Dominica, including books for Dominica's “Open Books, Open Minds – Leave a Book Behind” program (donations to Dominica are especially critical in the wake of widespread devastation caused by Hurricane Erika in August 2015). Other resorts request a variety of donations, ranging from Band-Aids and feminine sanitary products to musical instruments and linens -- all easily packed into a corner of your suitcase.